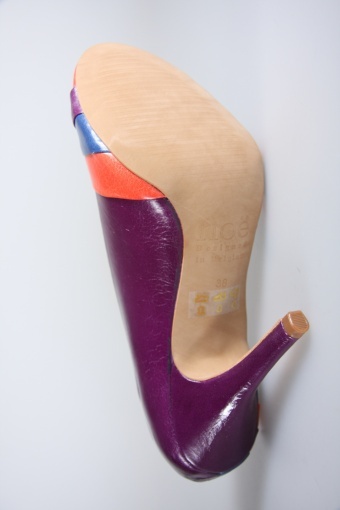 Zeus Multi leather peeptoe pumps Porpora China Rosso from Noë Pumps. 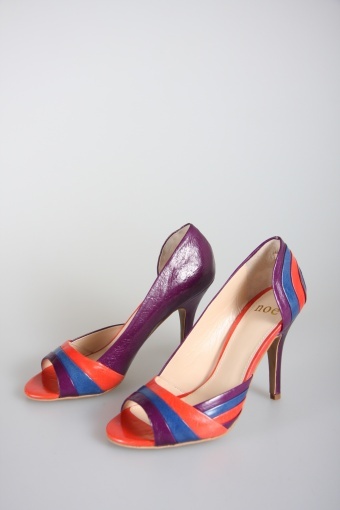 We fell in love instantly with this fantastic Italian leather pump from Noe, a Belgian quality shoelabel. 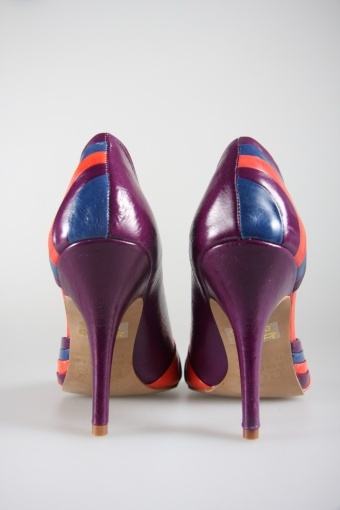 This style reminds us of the populair heels of the 70s and 80s. And as soon as you try them on you don't want to get them off: they are so comfortable! These beauties are made of topquality Italian leather in 3 colour tones: white 'Bianco' - ochre 'Cemento' - and taupe grey 'Sole' in a retro colour block pattern. The outside is open so it accentuates the curve of your foot. Soft innersole made of creme leather. Inside heels is made of soft suede with a little elastic to keep them on your foot.